Bringing puzzles into the third dimension! 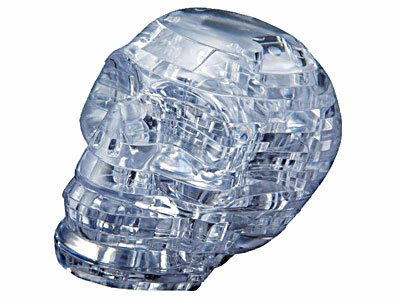 This 3D jigsaw puzzle will have you sculpting a solution in the form of a Skull! The puzzle consists of 49 translucent jigsaw pieces.Comes in a smart presentation box. Kept our son occupied for several hours (in between mince pies and TV) and looks great once completed. The instructions aren't especially clear, but obviously enough of a clue to get it done.